Deadly conflicts between farmers and cattle herders in central Nigeria over land and natural resources reached a high point in 2018, according to a new report from Amnesty International. In 2018, more than 2,000 people were killed in such conflicts, the report found. That’s more than the previous two years combined, and hundreds more than were killed by the terrorist group Boko Haram. The death toll this year, the report found, was exacerbated by the government’s failure to keep the peace and investigate and prosecute the attackers. Overall, the report — which details three years of clashes — paints a picture of a conflict in which both farmers and pastoralists across Nigeria’s Middle Belt region have lost confidence in the rule of law and feel empowered to retaliate against their neighbors with impunity. Sale Tambaya, a cattle herder in central Nigeria, grazes his cows. After his home state criminalized open grazing in November 2017, he and his family fled with their livestock to a neighboring state where grazing is allowed. Two of his sons died on the journey. Over the last few years, as Nigeria’s rural population has boomed and climate change has dried up traditional grazing areas, farmers and cattle herders have been gradually forced into closer quarters. Seemingly small disputes over a wandering cow, or a new crop patch appearing on a grazing path, can turn to violence and then, over months and years, into escalating reprisals that leave whole families dead, hundreds of thousands of people displaced and villages in charred ruins. The conflicts flared up in 2015, and over the last few years, have become increasingly common. Dozens of clashes occurred throughout the country this year, reaching from the temperate savannah of the south to the desert north. In some cases, the conflicts develop ethnic and religious overtones, since the farmers are predominantly Christians from the majority Berom ethnic group while the pastoralists are predominantly Muslims of the minority Fulani. The origins of specific conflicts are often forgotten and replaced by general animosity between these groups. The violence peaked near the beginning of the year, shortly after several states implemented restrictive new laws on cattle grazing, and flared again over the summer. It declined over the fall, according to the Armed Conflict Location & Event Data Project, in response to curfews — and because it typically declines during the rainy season when cows are less mobile. But ACLED’s executive director Clionadh Raleigh says that over the last few years, the conflict has tended to explode after periods of relative quiet. This conflict has become a major political issue in Nigeria. 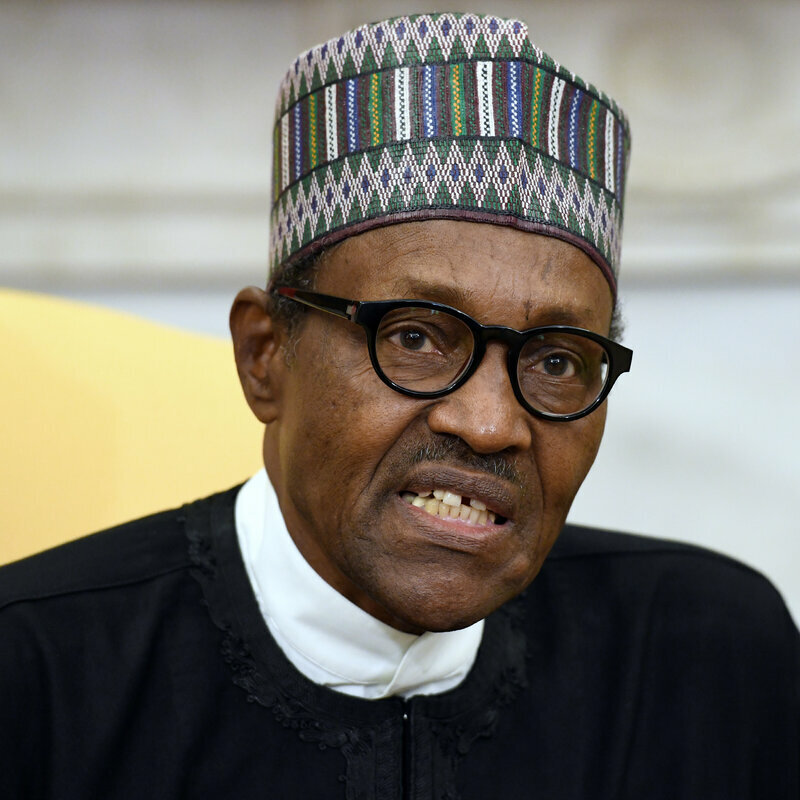 Critics of President Muhammadu Buhari say he has not done enough to address the underlying grievances and prosecute murderers on both sides, despite ramping up military checkpoints and outposts in the worst-affected regions over the last few years. In the absence of effective official law enforcement, armed citizen self-described “vigilante” groups have sometimes acted as peacekeepers, sometimes as ethnic gangs. 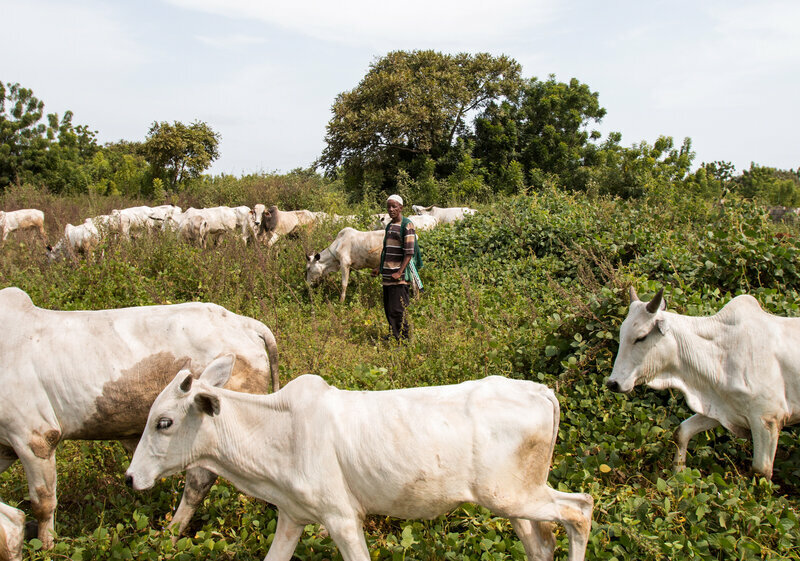 Last fall, some Nigerian states sought to quell the violence by making it illegal for cattle to graze anywhere outside of a designated enclosed ranch in the hope that tighter regulation would appease farmers and reduce the chances of a conflict. But as NPR reported at the time, the new requirement was practically impossible for most low-income pastoralists to comply with, since they typically rely on public grasslands and don’t own ranches. In November, the anti-grazing law in Benue State forced many Fulani to flee for fear of being persecuted or having their cattle killed or confiscated. Experts on the conflict predicted that the law was more likely to inflame violence than resolve it, and they were right: Benue saw more fatalities than any other state this year, according to the Amnesty report. Mohammed Bello Tukur, an Abuja-based lawyer for the Confederation of Traditional Herders, a pastoralist advocacy group, says the anti-grazing laws made farmers and pastoralists feel empowered to take the law into their own hands. Raleigh from ACLED adds that some state governments’ aggressive approach to regulating land has tended to erode the power of traditional local chiefs, who historically managed the allocation of land. Traditional rulers, with close ties to their communities, were often able to mediate conflicts in a way that official law enforcement couldn’t, she said. The Amnesty report details several incidents in which government security forces, including local police and Army soldiers, either ignored credible advance warnings of attacks or abandoned their posts just before or during attacks. In one case, in May in Adawama State, officials in Bang village placed a series of calls to police and other security officials warning that a group of armed men had gathered nearby. According to witness testimony in the report, soldiers simply passed through the village, without stopping. Less than hour later, the village was attacked by an armed pastoralist gang; hundreds of houses were burned and 33 people were killed. The report also details what Amnesty describes as three previously unreported cases of human rights abuses committed by the military during its interventions in the conflict since 2016, including beating civilians and razing villages, which an Army spokesperson denied. In one such case, in May in Benue State, soldiers burned down nearly 300 houses and threatened to shoot villagers in what locals described as an act of retaliation after soldiers discovered the body of a missing colleague, according to the report. Brigadier General Sani Usman, the spokesperson for the Nigerian Army, says he categorically denies the report’s allegations of human rights abuses. In a WhatsApp message Monday morning, he threatened to call for the closure of Amnesty’s Nigeria offices. Regardless of how the government chooses to handle the thorny issues of land rights and climate change, farmer-herder conflicts are likely to worsen until the law enforcement response is improved, says Amnesty’s Osai. Tim McDonnell is a journalist covering the environment, conflict, and related issues in sub-Saharan Africa.